I recently went on a trip to Miami. I was amazed at the new construction going on in South Beach. It was a plethora of cranes, huge steel reinforced foundation walls and footings being poured into concrete. As I was walking through the streets viewing the construction as well as heat exhaustion, I happened to smell the hint of brown sugar mixed with cinnamon and the aroma of freshly baked bread. It was a Cinnabon store! The windows were open to attract the passerby’s. It worked. What construction? Me want Cinnabon! Here are some examples of pluses to getting a new home. It holds its value for a longer time. When you buy a new home the idea is to stay there for a long time but life situations happen and you might have to up root your family to another location. Having a newly built home for re-sale value has much more of an advantage then an older home. You also don’t have to upgrade anything because the upgrades were already done when you had it built. 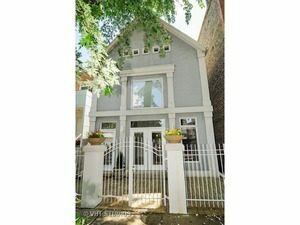 Here is an example of a home that was built 5 years ago versus an older home built 20 years ago and the re-sale value it held. This home included Attainable, Smart Tech Home SM Energy Star Rated. Flaxseed Sealed Oak Hardwood Floors, Tankless H20, Endless LEED Appointments, Floating Staircase, Custom Horizontal & Glass Designed Kitchen, Resort Caliber Spa Baths, Audio Pre Wire, Built in Security System, Fully Fenced Yard, 2 Car Garage. 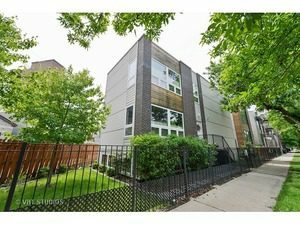 Flooded with Natural Light Throughout, Custom Window Treatments, Surround Sound Speakers, Balcony off Dinning Room Overlooks Spacious, Private Patio. 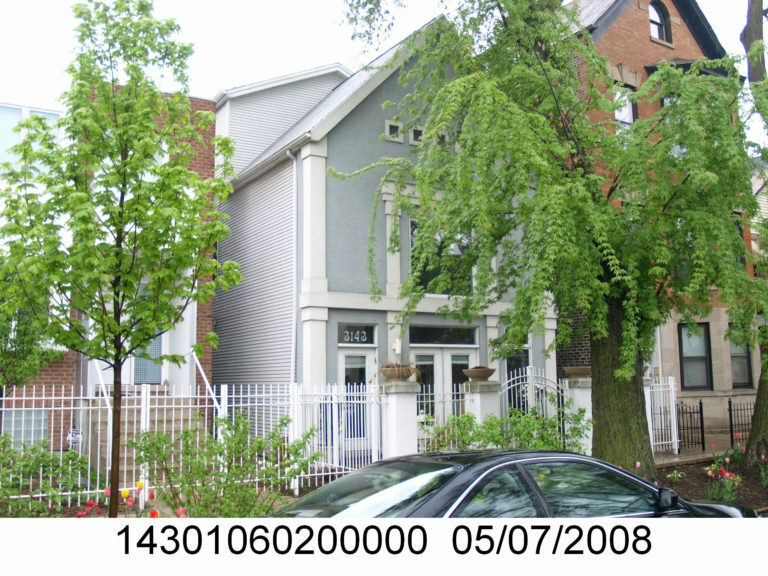 This below is 15 years old and was rehabbed so it is not new construction. This featured a two sided wood burning fireplace separating the living room and dining room, chef’s kitchen with Thermador 48-inch Professional Series range, Subzero, full granite counter and backsplash, and a full-sized family room adjoining the kitchen. It also didn’t have to many green features in it. As you can see the new construction above made more in profit then this rehabbed home after expenses the cost to remodel and the payback. You can ask an architect or a contractor for an estimate of the cost to remodel. Estimating the payback is a little more difficult. So the aroma of this fixer upper was fowl not even close to a cinnabon smell at all, lol. Our society is all about being green now. When thinking about a fixer upper you can certainly rehab it and create a green environment but it is not the same as having a new green constructed home. Increased demand for water-saving features such as dual-flush toilets and low-flow faucets. Many people have this notion that being green can cause your green money to go out the door but as they say you are saving in the long run. You can eliminate the stress that comes with paying high monthly bills. Green buildings reduce day-to-day costs year-over-year. LEED (Leadership in Energy and Environmental Design) buildings report almost 20 percent lower maintenance costs than typical commercial buildings, and green building retrofit projects typically decrease operation costs by almost 10 percent in just one year. According to the Green Building Council between 2015 and 2018, LEED-certified buildings in the United States are estimated to have $1.2 billion in energy savings, $149.5 million in water savings, $715.2 million in maintenance savings and $54.2 million in waste savings. Key financial benefits of new green construction generally relate to lower operational costs, and may include lower energy, waste and water costs, lower maintenance costs, and increased productivity and health. So be green and enjoy the smells of the Cinnabon cooking in your energy efficient induction oven. Don’t forget about the permits. Built to new code regulations, typically resulting in a “safer” home – for example, windows. For most consumers, any large scale renovation requiring building permits should give pause for consideration. Major electrical, plumbing, or HVAC changes will warrant hiring a professional. Knocking down a wall looks very simple on t.v. but in real life it’s a whole different scenario. Typically contractors state that it’s easier to obtain permits for a new construction versus a renovation home but this will depend on the contractor. New home buyers may be able to take advantage of mortgage financing perks made available through their builder. “New home builders, in many cases the larger ones, have their own mortgage companies or they will offer paying points or closing costs and buy down certain rates. Overall you have to ask yourself if it’s within you and your families best interest to get a new construction home or to buy a fixer upper. Either way you will have to deal with choices and make many decisions. 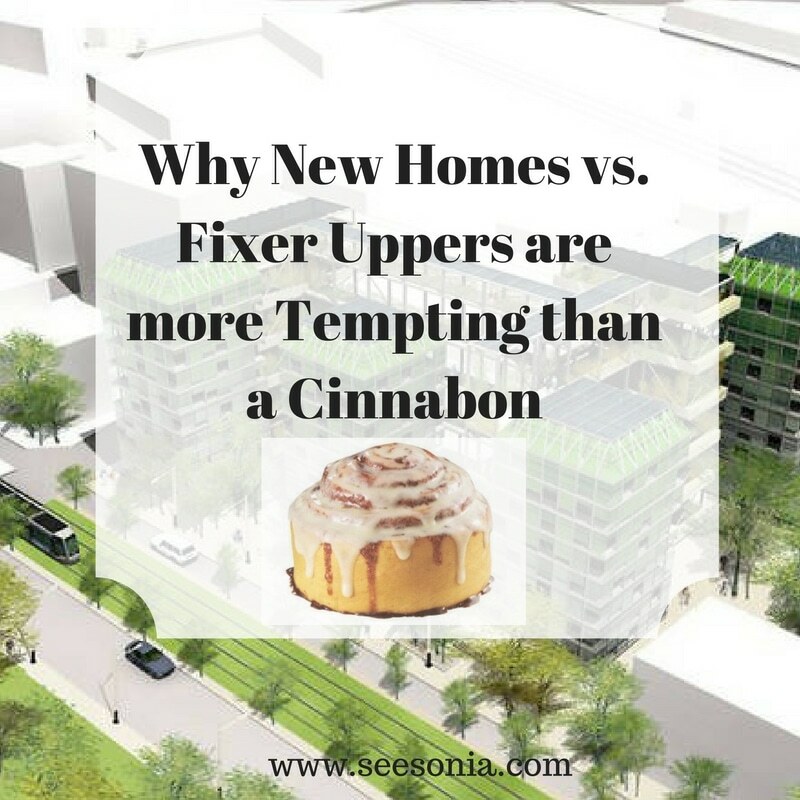 Here are some additional reasons why buying a new construction home versus a fixer upper will have you smelling the aromas of a Cinnabon.